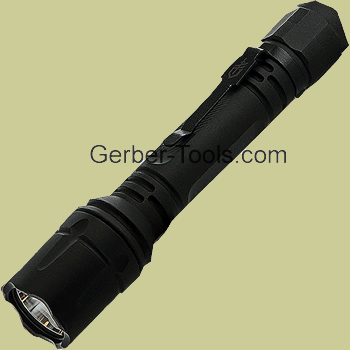 Gerber Cortex Flashlight 30-000821. 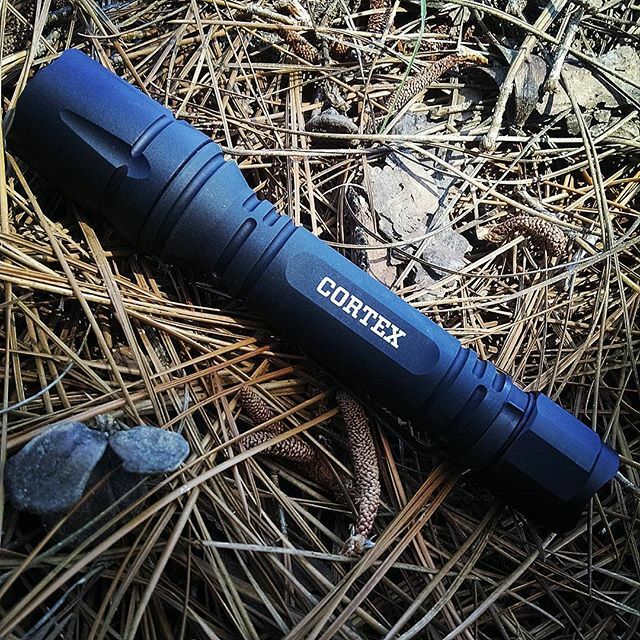 This Gerber Cortex Flashlight can run on 2 AA (included) or 3 Lithium CR123 batteries- your choice. If it runs on the CR123 Batteries, it has Lumens of: Low - 30 and on High - 675. Run time: Low - 40 hrs High - 1.75 hrs. IF it runs on the AA Alkaline Battery is has Lumens: Low - 28, High - 390. Run time: Low - 15 hrs High - 1 hrs. LED Cree XML lights. 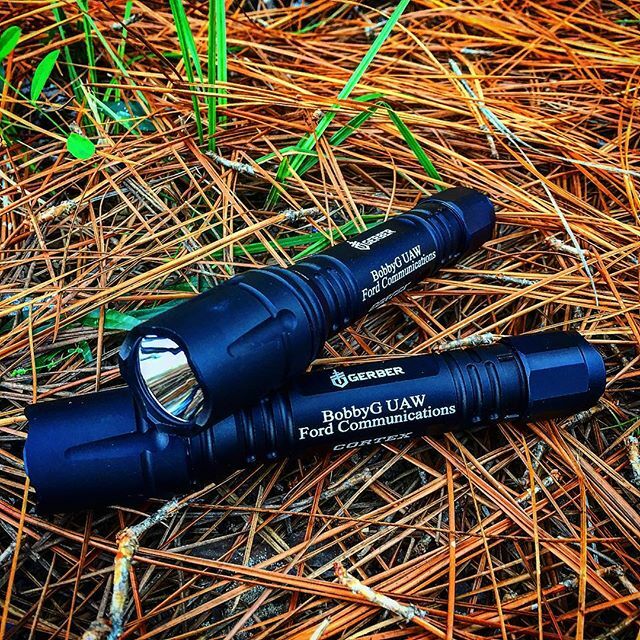 This flashlight can go under the water at a rating of water penetration rating of IPX7. There is a strobe mode for tactical applications as well. Proudly built in Portland, OR.